In an attempt to study this further, the research team created a working model called radiolysis, which was then tested on earthly rock-water mixtures in known or suspected interior ocean worlds — the moons of Saturn, Jupiter and Pluto, known as Enceladus, Europa and Charon, respectively. The prototype, developed by scientists, was intended to replicate a phenomenon which occurrs on celestial bodies. This is called dissociation of water or ‘water-cracking’ and its corresponding physical and chemical processes, ultimately release molecular hydrogen (H2). This process of decomposition of molecules when exposed to ionizing radiation was termed, by the group, as radiolysis. In the rocky cores (mineral-filled meteorites called chondrites) of some planets, there are believed to be age-old radioactive isotopes of uranium (U235, U238) potassium (K40) and thorium (Th232). When ocean water runs through the rocks containing these elements, there is a high possibility of radiolysis, and the subsequent release of hydrogen and oxygen. Lead author of the paper, Alexis Bouquet says, “Microbial communities sustained by H2 have been found in extreme environments on Earth. These include a groundwater sample found nearly 2 miles (3.2 km) deep in a South African gold mine and at hydrothermal vents on the ocean floor.” Serpentinization and hydrothermal activity occurring in those atmospheres are good sources of hydrogen atoms, but the capacity of radiolysis could be fundamental in habitation and sustenance. This is because the splitting of water also produces oxygen, that upon reaction with minerals makes sulphates which in turn could act as food and chemical energy. Radiolysis could promote the production of additional hydrogen in the environment. All the work has been published titled ‘Alternative Energy: Production of H2 by Radiolysis of Water in the Rocky Cores of Icy Bodies’. 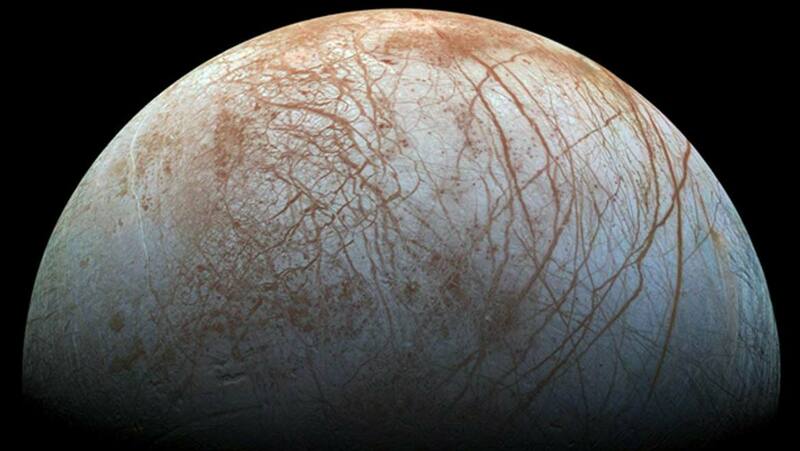 This exciting area of astrobiology warrants further exploration and research. If the extensive study is anything to go by, extraterrestrial life and land on other heavenly bodies could perhaps indeed be a reality!